Known as “America’s First Region” because of its ties to Jamestown, Williamsburg and the settling of America, the Hampton Roads area of Virginia has long been a standard bearer for trade and commerce within the state and the nation. Having the world’s largest natural deepwater harbor to facilitate sea traffic as well as a highly integrated network of other transportation avenues including rail, highway and air, Hampton Roads has a lot to offer businesses looking to move to the area or expand their operations. The physical area covered within Hampton Roads is large and exceedingly diverse. 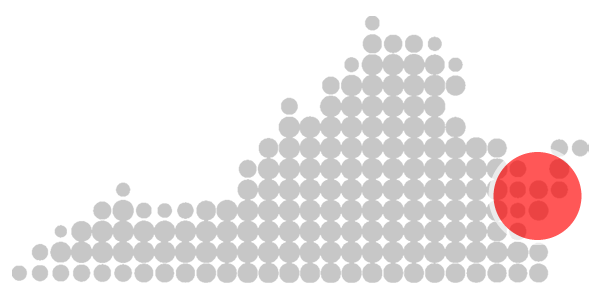 Including the 10 cities of Chesapeake,Franklin, Hampton, Newport News, Norfolk, Poquoson, Portsmouth, Suffolk, Virginia Beach and Williamsburg as well as the five counties of Gloucester, Isle of Wight, James City, Southampton and York, the region boasts a labor force of nearly 800,000 highly trained and educated people. In addition, there are eight universities and numerous community colleges and trade schools that continually provide new graduates that are educated, ambitious and capable. This distinctly unique group of cities and counties within the region was deemed the 2nd best performing metro economy in the nation during the recent recession as decided by the Brookings Institution. This declaration is solid evidence that Hampton Roads has a varied and stable workforce and local economic factors capable of withstanding even the harshest of national economic downturns. Throw in the facts that 60 percent of the population of the country is within 750 miles of the Hampton Roads area and that the world’s largest Naval Base is inside the region and you can see why its economy can stand above the rest. Along with the economic and physical diversity of the area comes a cultural diversity as well that shows up throughout the region in its restaurants, parks, museums, shopping areas, communities and local neighborhoods. From the charm and early american simplicity of Colonial Williamsburg and Yorktown’s shops and restaurants to the 10 regional malls and the one million square foot McArthur Center in Norfolk, the Hampton Roads area has something for everyone. If you are interested in locating to, expanding within or finding out more information on the Hampton Roads area, put Dominion Commercial and our local market knowledge and expertise to work for you. We are only a call or click away. Connect and follow Dominion Commercial through facebook and twitter to find out what is happening with commercial real estate and other items of interest throughout Hampton Roads.